Discussion in 'Hacks' started by AZKomet, Nov 6, 2018. I was contacted by a social worker here in Phx regarding an elderly male who is a veteran of Vietnam and then a retired police officer. He is in his 70s and has mild dementia and is in the VA long term care center here in Phx. He was an avid motorcycle rider and now only dreams of being on one. He talks about riding incessantly and his family would like me (someone) to provide him with a last ride. While he has no true medical condition he does have progressive dementia and cannot sit on a regular m/c otherwise I would have this done already. The weather is perfect here and my thought is to borrow a Ural or hack for half a day and take him to lunch then return him to the VA. I would like to do this soon before he progressing. The weather will change soon and it may be too cold for him in the weeks to come. If someone is willing to loan me the hack or willing to give the guy a ride then I am up for that as well. Happytrails63 and cateyetech like this. You have to learn to drive a sidecar before you can safely take a passenger. Doesn't matter how many bikes you've had. That's like saying you can drive a sidecar just fine because you've had 29 snowmobiles. Or 29 boats. If you're gonna give a guy a ride, plan on following or leading on your own bike and let an experienced sidecar guy drive the rig. Last thing you want is to be teaching yourself how to drive a sidecar while also carrying a passenger. Several frequent visitors to this section of ADV are in the Phoenix area and I'm betting that one of them will hit you up with an offer. 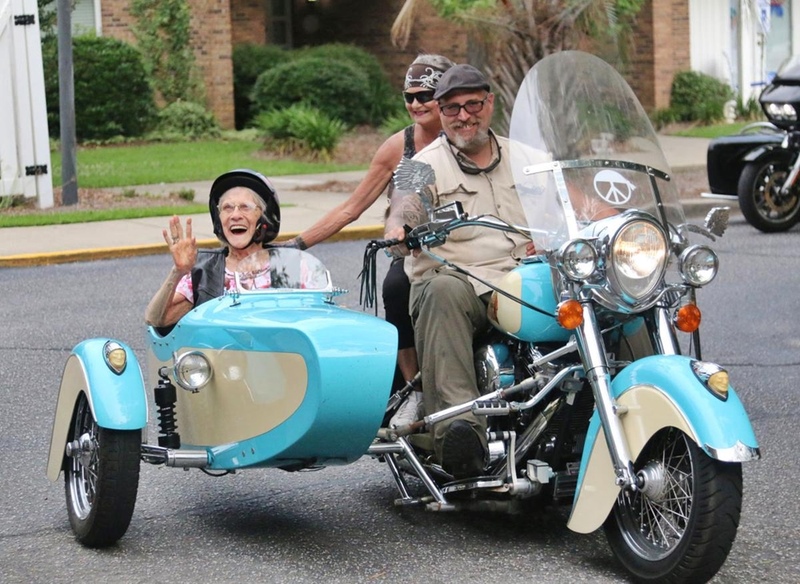 One guy, in fact, owns like about 15 sidecar rigs and he's right near you. I might suggest though that you edit the title of the thread to say PHOENIX not PHX. Will catch their eye better. Bar None, Hookalatch, Tall Man and 2 others like this. Sounds like a great thing to do, hope you find someone to help him out. AZKomet, FLYING EYEBALL, cateyetech and 1 other person like this. "Hey Walter look what I borrowed..jump-in!" Good plan but it needs some rethinking/fine-tuning. Hi guys....Never said I was an expert at hack riding. However, nobody even asked if I had owned or ridden one??? In any case I understand the input and thanks. I was merely trying to get a possible volunteer as well. In all honesty I don't have the time. However, being a humanitarian I felt I should step up and at least try. We all know our time on this rock is minimal.....Just trying to do the right thing here. If I am unable to then I am ok with that as I tried. Bobmws, Happytrails63 and JustKip like this. Wish I had time, but PHX is a long way from Fresnope, and I'm working 6 days a week till the end of the year. Definitely a worthy cause though! FLYING EYEBALL, Happytrails63 and FR700 like this. Found someone local to do this. Thanks for those who may have considered it. Dale402, Strong Bad, Bobmws and 2 others like this. I could be a backup if you need me. Dale402, Zoef zoef and Bobmws like this.